It shows the vigorous and stable characteristics of the early Ming Dynasty. Its exquisite and elegant shape, crown with a precious umbrella button, neck adduction, painted with cloud dragon pattern, belly and shin plump and round, so that the painter has enough space to enjoy. With twisted branches and dragon heads as the theme, the decorative structure is straightforward and generous, showing the refinement and fluency of the painter's brushwork. 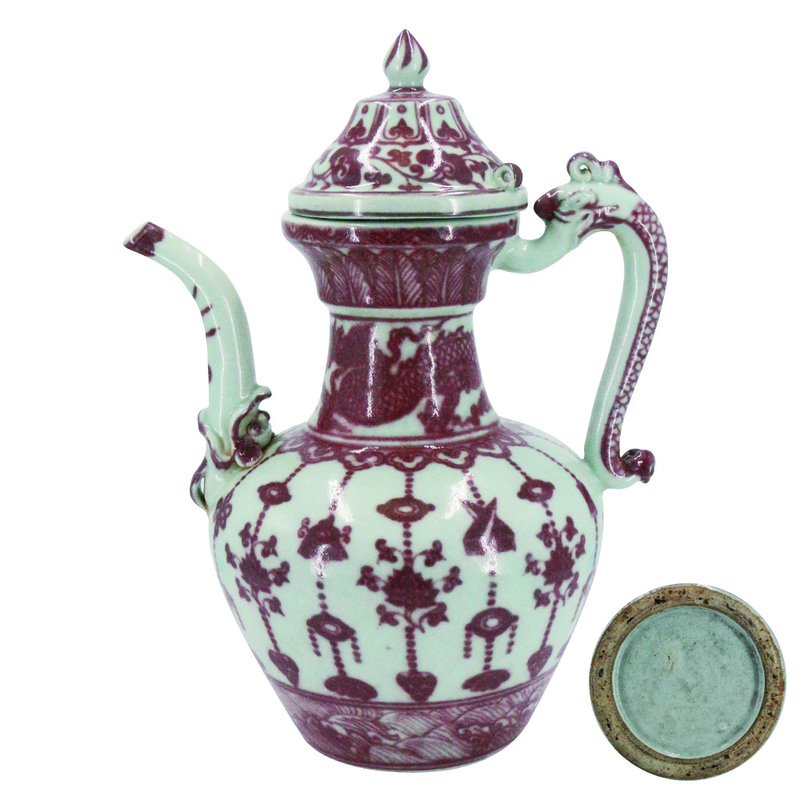 With the rich red color in the glaze, the whole is more graceful and graceful. Many similar pots with caps have been lost because of the caps left over. By contrast, this pot is still intact and precious.